Tonight is the night, the first night on the new mattress! We’ve been sleeping on some very worn out 3″-4″ thick foam mattress, made of three pieces. 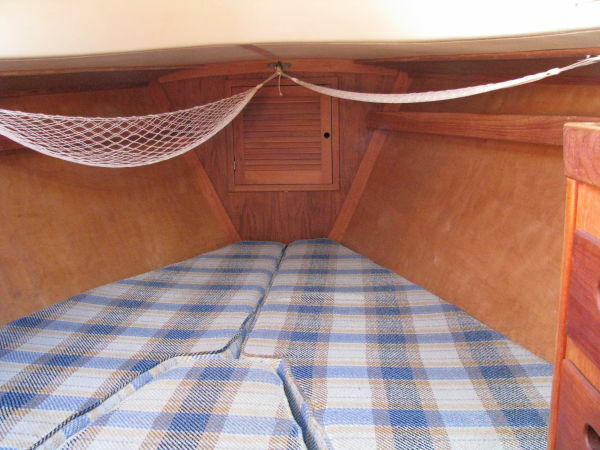 While it looks okay in the picture, I’m pretty sure based on the pattern and the make of the boat (Tartan) that this was the original mattress. It didn’t have a lot of cushion left in it. We have been shopping for a new mattress, and have found several we really liked, at the boat show and at a factory up north. They ran a cool $2200 or so, but what price can you really put on a good nights sleep? Well, that did seem a bit steep, so we hadn’t ordered one yet, but we certainly dreamed of placing that order. A couple weeks ago as I was leaving one of the businesses I regularly deliver to, I realized there was a foam and upholstery shop across the street that I looked at all the time, but never really noticed. So I stopped in to Classic Foam and Upholstery in Anacortes, had a nice chat with owner Diane, and received a phone call a couple hours later with some options. 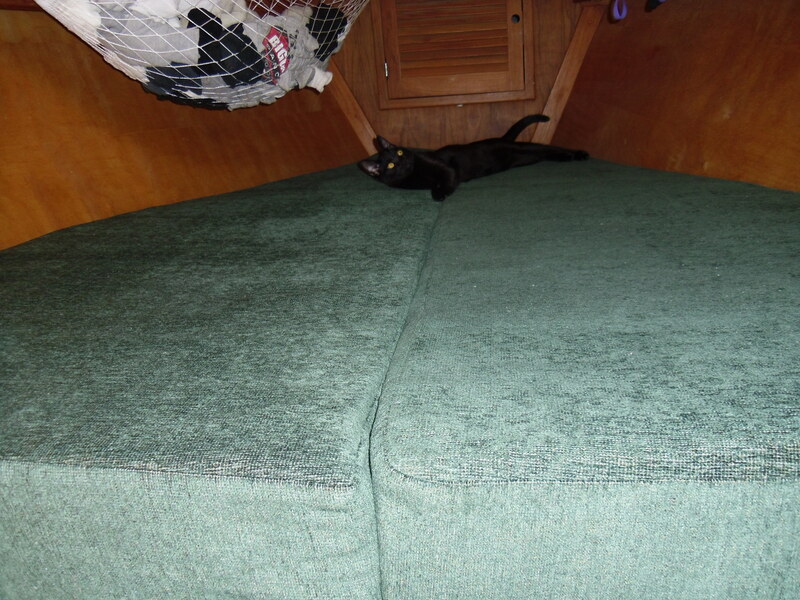 One was a discontinued queen size 7″ thick latex foam (a great choice for boats as it won’t mildew, not to mentions they are just plain comfy) mattress for less than a third of the price of the ones we had been looking at. After adding in cutting it to size, a custom sewn cover and fabric, it would still be less than half the price. The caveat? She could only tell us a number for the level of firmness. We took a chance, had her order and a few days later it was in her shop. We stopped by, tried it out, and felt it was just about exactly what we wanted. We were also able to have it cut into only two pieces which will be much more comfortable. A day later Diane called and asked if I could pick it up and as soon as I finish writing this, we are headed to the V-berth for our inaugural night on our luxurious new bed.